the faint smell of whisky is nothing new. His back legs have just increased by two. eyeing up the animal-friendly crowd. his friend hasn’t even touched the sides. to Donkey’s six-legged mechanical sway. Donkey’s done bugger all else all day. Daniel Roy Connelly is an actor, theatre director, writer and professor of English literature and creative writing at John Cabot University and The American University of Rome. Since 2013, his poetry has been published by, among others, Magma, Acumen, Lunar, The Transnational, B O D Y, The Journal and Ink, Sweat and Tears. His essay on being closed down by the secret police while directing illegal English-language theatre in China is available in The Istanbul Review. He was the winner of the 2014 Fermoy International Poetry Festival Prize and a finalist in the 2015 Aesthetica Magazine Creative Writing Prize. He has recently been named winner of the 2015 Cuirt New Writing Prize for poetry. 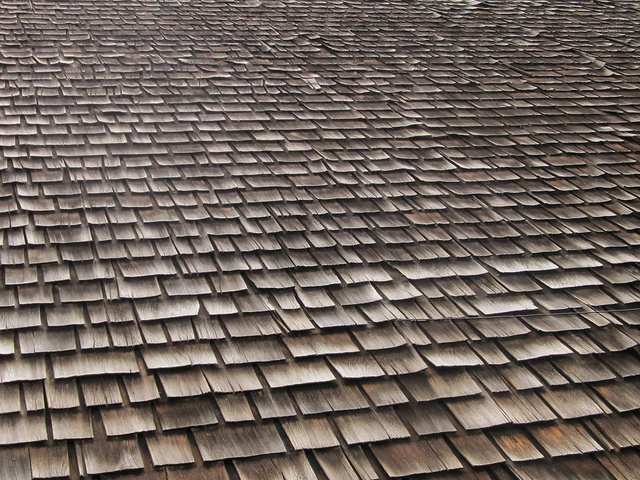 Image: "Wood Tiled Roof Pattern" by Sherrie Thal.